This book might be considered a fractured fairy tale with humor in the vein of Diary of a Wimpy Kid. Personally, I am not a fan of this kind of humor, but I do know how popular it is with middle grade students. The plot involves Tom, a boy who is playing down by the old factory and comes across a pile of rubbish. He spies a shiny metal object sticking out. Tom discovers a lamp like Aladdin’s lamp, so he rubs it. Instead of a genie, a giant pops out. Tom thinks he can make wishes. He asks for a time machine and a flying car but the giant informs Tom that he cannot grant wishes. During the day, Tom meets a few of his friends. Sally Patterson shows him her new dog who fetches, Horace Chomsky demonstrates how his parrot talks and Becky Wilkinson shows him her flea that does circus tricks. Tom is dismayed that his giant has no unique qualities. But when Tom crosses paths with Basher Bates and his gang, the giant’s response is an unexpected relief. 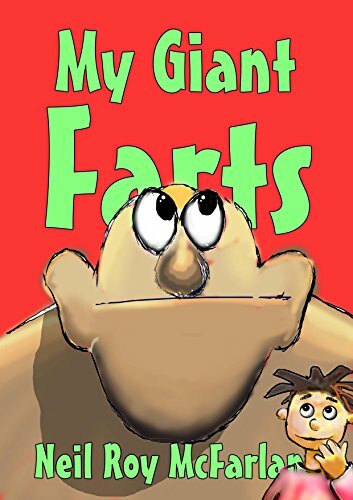 This book is targeted for ages five and older. I believe eight to twelve-year-old readers will particularly find it to their liking.